HMD Global silently started shipping a new car chargers to retail partners, at least looking at the offering of Finnish store mytrendyphone.fi. 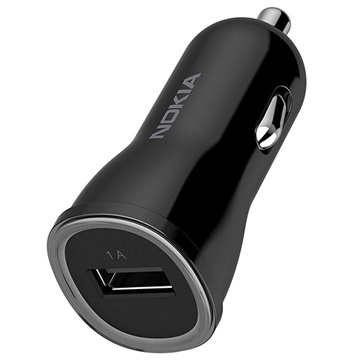 The new DC-110 car charger comes with a more rounded design and offers one port for your USB cable, compared to other two car chargers (DC-301/801) Nokia Mobile offers with two ports. The mentioned store is selling the car charger for 10 euros, which is an ok price if you ask me. 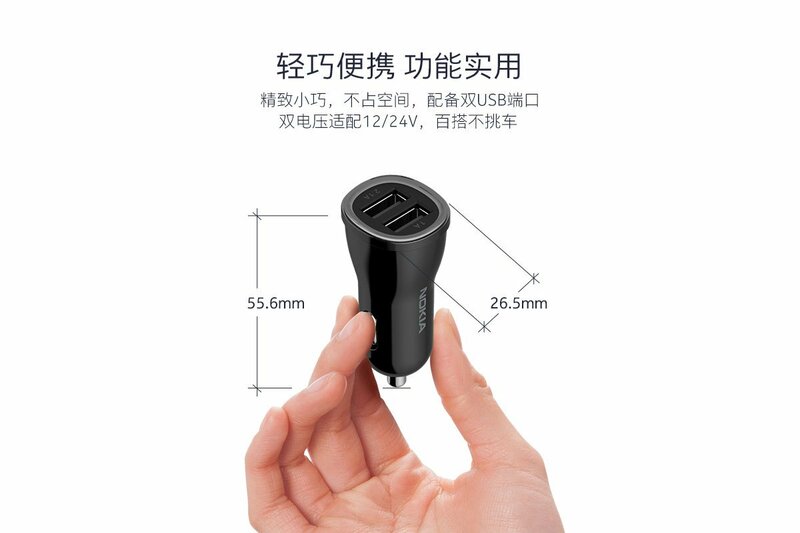 The specifications listed by mytrendyphone.fi show 5V/1A output power, which means that the chargers doesn’t support fast charging and is more suitable to lower end and mid range devices. The design of the new car changers is more rounded than the boxy design from other two chargers and it looks good in my opinion. 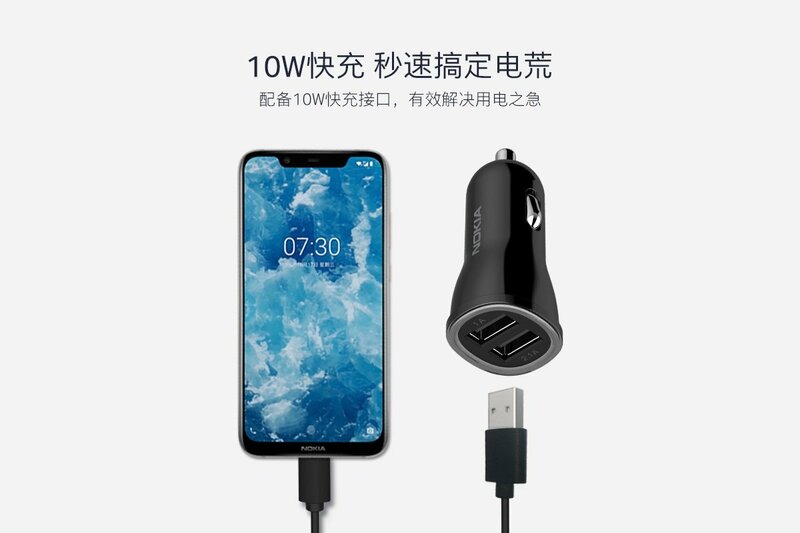 Another unannounced car charger on sale is Nokia DC-310, that shares similar design language with Nokia DC-110 but has two USB ports. One port with 1.2A output and the other with 2.1A output, suitable for faster charging for higher midrange devices, like the Nokia 8.1. The price of Nokia DC-310 and mytrendyphone.fi is 13.20 euros, which is also an ok price. The DC-310 also appeared on Nokia China store which is selling it for 69CNY or about 9 euros. 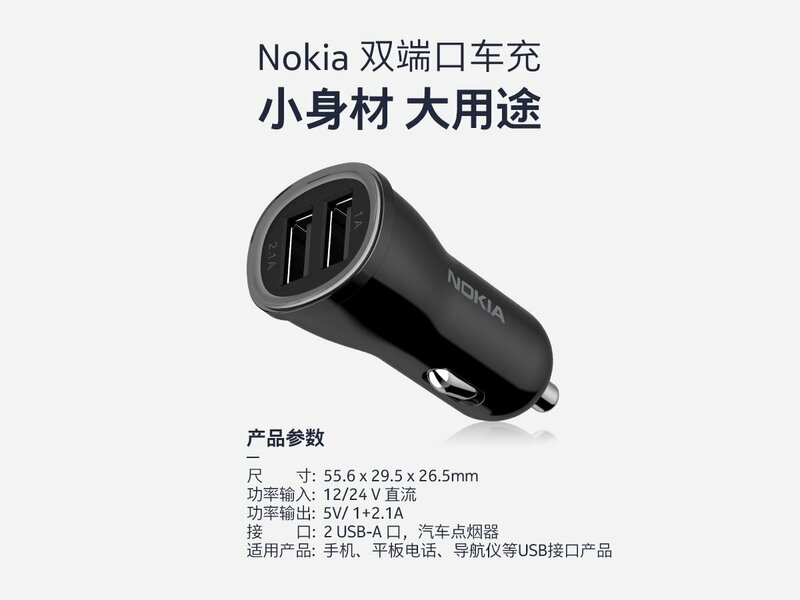 In China the chargers are called Nokia DC-110C and Nokia DC-301C. We can probably expect the official announcement (or acknowledgement) of the chargers at MWC2019 on 24th February, when HMD scheduled an event.